Apollo Surprise Box is for people who love sporting unique products and gadgets but don’t like spending the time looking for them. 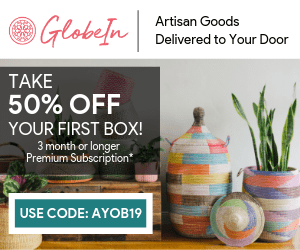 If you have an eye for one-of-a-kind decorations, accessories and more, then this is the subscription box for you. You’re guaranteed to receive full sized items that are unique and won’t be found in any chain store. Each item in the box is hand picked to fit your personal taste and lifestyle so you’ll get products that you’ll actually like and use. They kindly sent us this box for review. We are super excited to be reviewing a brand new box today! Apollo Surprise Box shipped their first box back in June which means the subscription is only a few months old. If you love unique gadgets, this is the box for you. Tell Us About You – Sign up and fill out a quick survey where you can share your preferences. We Curate – We prepare a surprise box for you every month or quarter based on your wants and needs. 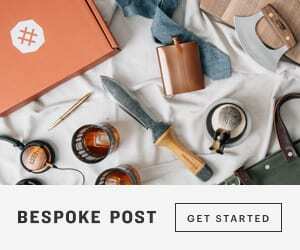 Get Surprised – Receive a box filled with unique and fun products. Treat yourself and loved ones! Here’s a closer look at the items we received in our very first Apollo Surprise Box…..
You’ve only ever dreamed of touching the moon…now indulge yourself with the soothing glow of our photorealistic moon light. The LED light adjusts from soft white to yellow, creating the perfect ambience for a relaxing night or a romantic date. Moonstruck, anyone? This is such a cool item. I love anything that lights up. I feel like this would be an amazing product for children but equally great for adults. Invite glitz and glamor to the occasion with this set of four lollipops. Adorned with genuine Swarovski crystals, lollipops shine and shimmer with edible sparkles and a pearl back. Create unique place settings at a wedding or New Year’s celebration. Individually wrapped, lollipops are butterfly, star or heart shaped and arrive in an elegant box, ready for gift giving. These are gorgeous!! I love that they are bigger than your average lollipop. I might hang on to these and use them for birthday gift bags. Reach for this friendly bird whenever you need a great kitchen knife. Its colorful ergonomic design hides a powerfully sharp blade inside its beak to handle all your kitchen tasks. This is hilarious and awesome at the same time. I’ve been meaning to get a small knife for my purse (or some sort of sharp object) as I am always trying to open boxes at the post office or in my car. This is absolutely perfect for that! It is handy and will make me smile at the same time. Create an unforgettable birthday celebration for your loved one with the Magic Birthday Card. As you scan the card, it transforms into a beautiful birthday cake surrounded by immersive fireworks and the “Happy birthday” melody. Save the moment in a photo and spread the joy. This is fun. You simply download the Apollo Box app on iOS or Android, point your camera at the card and reveal the magic. Apollo Surprise Box is a super fun box for those who love quirky gadgets. I for one love receiving items like this. They brighten your mood and lighten a heavy day. How can you not smile when you look at the Owl knife or light up the moon light. I’ve been looking for a subscription box like this. The market was in need of one. I had a quick look through the website and they have some awesome products in the shop. They have a little bit of everything, I guarantee you will find something you love, and something that will make you smile if you spend even just 10 minutes browsing through the different shop categories. With Apollo Surprise Box you will never know what you are getting and I absolutely love that. I can’t wait to show you what I get next month. I’m hoping for some cozy Fall items……mugs, blankets, etc….. Unique products tailored to your lifestyle and taste, delivered to your doorstep once a month or quarter. Enjoy free shipping and flexible subscription plans. Subscribe to Apollo Surprise Box today!